A $250+ billion industry, online shopping is the single largest developing area for consumer sales. 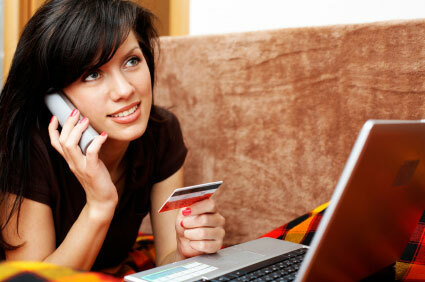 Convenience is the name of the game with the ability to buy products with their credit cards around the clock. For ecommerce business owners offering online credit card processing for their customers, security, reliability and ease-of-purchase are the most important criteria. Federated Payments offers the ideal online payment solutions bar none. Already have a shopping cart you use? No problem, Federated Payments supports over 80 certified carts (View list) and all major gateways (Authorize.net, VeriSign, etc.) Don’t currently use a cart? No problem, we have a FREE quick click solution to get you up and running quickly and securely. Safe and Secure – our solutions are fully CISP and PCI certified – no need to worry about hackers trying to steal credit card numbers from your site! Virtual Terminal – Authorize, process and manage credit card transactions manually from any computer that has an Internet connection and a Web Browser. Batch Upload Processing – Control and approve transactions through manual or automatic batching prior to settlement in record breaking time. Export reports for Accounting needs and import directly into QuickBooks and other programs.